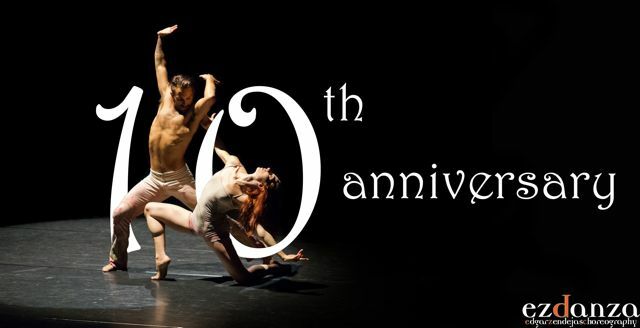 Since its inception, ezdanza has been an expression of constant collaborative work, inspired by the creative energy between interpretive artists and director; this synergy is built on a foundation of reciprocal Respect, Authenticity, Equanimity, Unity, Integrity and Stability. 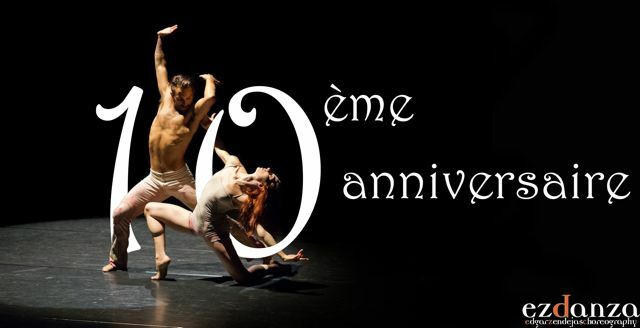 Now, 10 years later, ezdanza is celebrating its story of challenge and success, and would like to share a few creative moments from its first decade of life; a life that exists thanks to the dedicated cooperation, trust and talents from a rich community of artists, dancers, audiences, donors and friends. "Jacob's Pillow, Lee , MA - juillet 2004" with Cherice Barton, Alexandra Damiani, Eric Beauchesne, Peter Chu, Youri De Wilde, Craig Anderl and Edgar Zendejas. 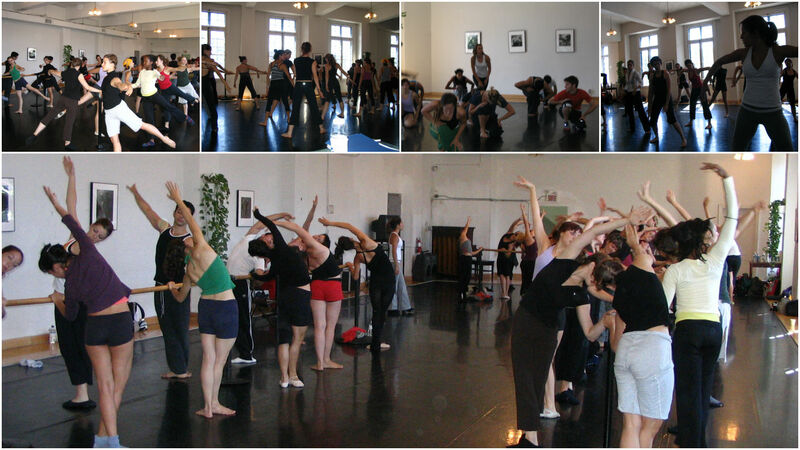 "ezdanza FIRST AUDITION 2006 by Neelanthi Vadivel (co-founder), Danielle Denichaud and Youri DeWilde for the dance community of Montreal". First official tour to Hollywood, Florida. USA. Dec. 2006 by our USA agent Ken Maldonado, Zia-Artists with Katherine Cowie, Danielle Denichaud, Susan Gaudreau, James Gregg, Youri de Wilde, Edgar Zendejas and ezdanza's light designer Daniel Ranger. "MERGE" 2006 Danse Encore. Original Music by Edouard Dumoulin. Interpreters Danielle Denichaud, Susan Gaudreau, James Gregg, Drew Kenneth Sandbulte, Neelanthi Vadivel, Youri de Wilde. Performed also by Karissa Barry, Peter Chu,Katherine Katherine Cowie, Alex Jolicoeur, Jordan McHenry Soula Rok Trougakos. "La 9e Symphonie de Beethoven"
"De Là-Haut" Rencontre des Arts Contemporains, Knowlton, QC. June 2010. Music by Lhasa de Sela. Collaboration with Sylvie Mercier (gum boots) A 20 minutes work that in 2011 some sections represented ezdanza in the tribute to Lhasa de Sela as part of Danse Lhasa Danse by PPS Danse. Interpreters: David Rancourt, Drew Sandbulte, Sara Harton, Veronique Giasson, Danielle Denichaud, Julien Gagnon, Emily Finkelstein, Jesse Rob and Kevin Delaney. Originally created in collaboration with l'Ecole de danse Florence Fourcaudot. Interpreters: Doug Baum, Danielle Denichaud, Emily Finkelstein, Veronique Giasson, Sara Harton. Also performed by Cai Glover, Jeff Wolfe, Julien Gagnon and Benjamin Landsberg. Direction: Edgar Zendejas. Assistance to the direction by David Rancourt. Interpreters: Danielle Denichaud, Veronique Giasson, Sara Harton, Nicolas Labelle, Marcio Vinicius Paulino Silveira, Francois Richard, Jeff Wolfe, Kristen Céré. Music: Mauricio Nava, The Sconek-T, Antonio Santos, Jasper Gahunia, Owen Belton, Jean-Philippe Barrios, Greg Haines, Alejandra Rivera.